The English know how to host a dinner party to remember, with beautifully crafted dishes bringing friends and family together. Follow these recipes for a three-course meal that makes the most of British fish and seafood. Does anyone do a dinner party better than the English? You can imagine it already – a nice tablecloth, some well-polished cutlery and everything all very gentile. Of course, that’s not always how it goes – we’ve all been to (or hosted) a few where there’s smoke billowing from the oven, heated exchanges are fired across the dinner table and someone spills red wine on the carpet. With a little forward planning and the right recipes, however, all that can be avoided, and you could be hosting the dinner party of dreams. We can’t promise the guests will behave themselves, but present them with this menu and we’re sure they’ll be highly impressed with your culinary skills at the very least. That’s because the starter, main and dessert all come from the mind of Shay Cooper, Michelin-starred head chef of The Goring (the Queen’s favourite place to eat, don’t you know). What’s more, they’re all easy to recreate at home, with the starter and dessert made ahead of time. Any dinner party host worth their salt should be offering their guests a tipple before the main event, and being able to show off with a cocktail is always the best way to go. Gin and tonic is the obvious go-to, but there are many easy ways to take the classic to the next level. 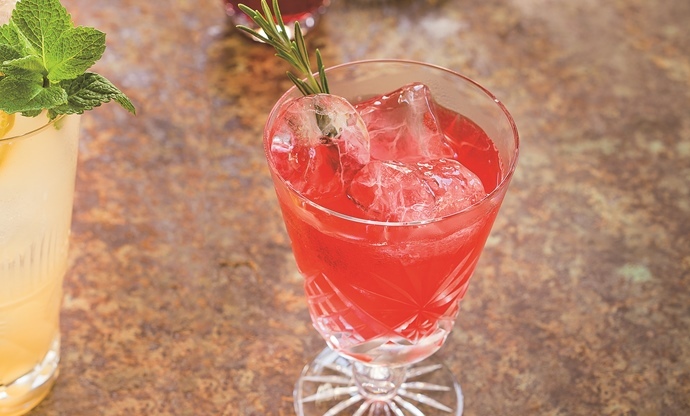 Whip up a blackberry syrup (up to two weeks in advance) and add a splash to a G&T for instant, super-seasonal kudos. Starters are all about creating a visual masterpiece that doesn’t require lots of work just before serving. 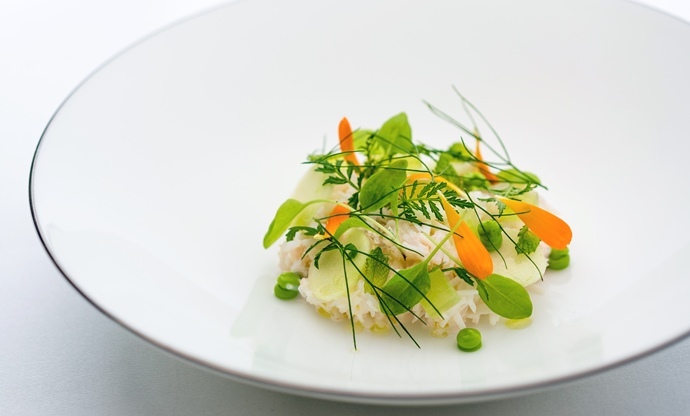 This crab salad looks stunning and can be made earlier on in the day, with you simply taking it out of the fridge just before service. The herb mayonnaise is made from scratch, which always generates some culinary brownie points, and the cucumber and lemon verbena comes in the form of jelly, which adds a bright, fresh, sweet note. But the real wow factor comes from the mint leaves, cress and marigold petals on top, which bring plenty of vibrant colour and flavour to the dish. 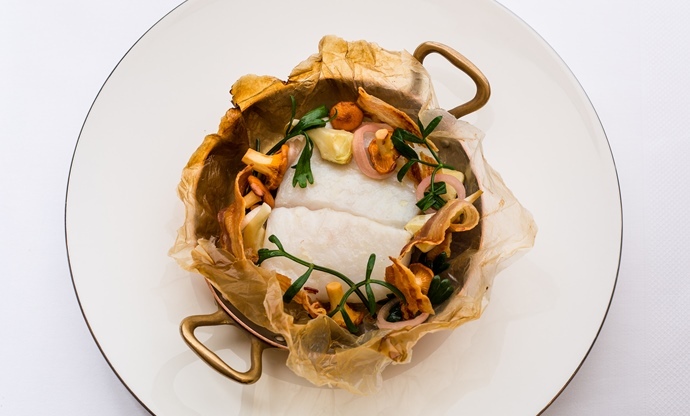 Turbot has to be one of the most luxurious fish out there, with its pearly white flesh and delicate flavour. And with a supporting cast of smoky bacon, earthy girolles, salty samphire and sweet artichokes, you’re onto a real winner. 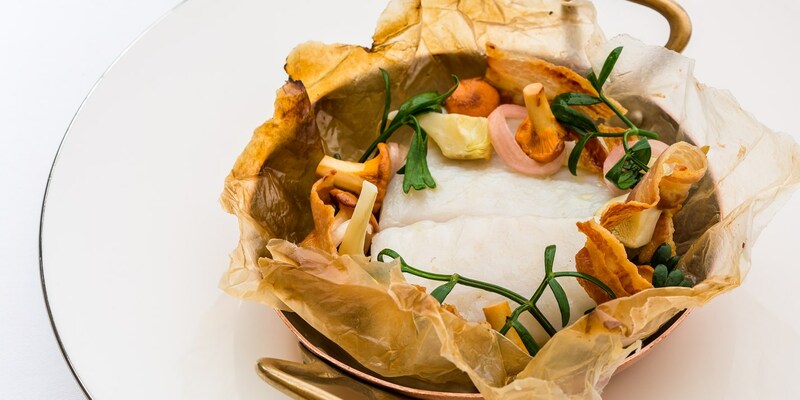 The beauty of this dish is that it’s cooked en papillote – in paper – so once you’ve prepped the artichokes, it’s just a simple case of arranging everything into a sheet of greaseproof paper, sealing it and popping it in the oven for ten minutes. Easy! 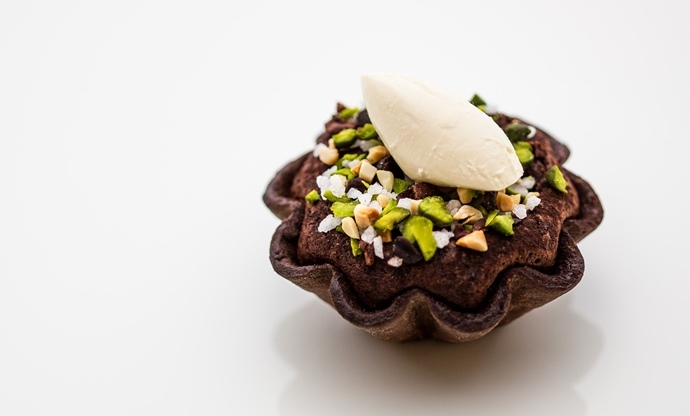 Onto dessert, and if this delicate little chocolate tart doesn’t set your guests’ hearts aflutter, nothing will. Distinctly classic, perfectly formed and with a homemade pastry case, these might come from the mind of a Michelin-starred chef, but they’re very easy to make at home. Bake the pastry cases in advance, then simply pour in the fondant mixture and bake just after everyone has polished off their mains.